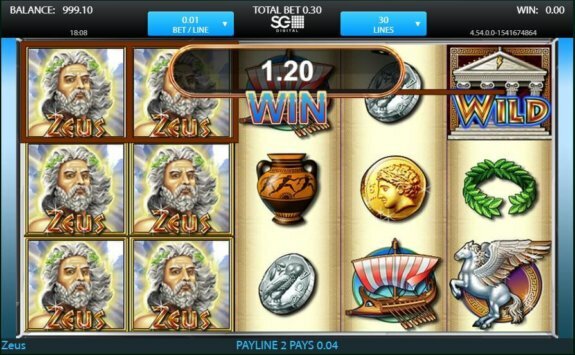 Zeus is the first in the line of the Greek mythology-themed slot games powered by WMS. It came out in 2014, but is still loved among many gamblers. It has a standard Free Spins feature and a simple yet endearing base game that a lot of players still seem to enjoy. 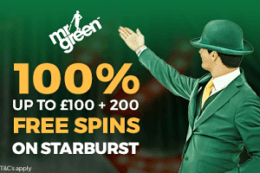 Trigger as much as 100 extra spins and win substantial rewards. Why Zeus? Zeus has a retro vibe, as it doesn't include many features nor impressive visuals. It’s ideal for novice players who are just learning to play slots. Greek mythology is now one of the most used themes in slot games, but a few years ago this wasn’t the case. The guys at WMS released Zeus in 2014, while, to some extent, the game’s topic was still an original concept. 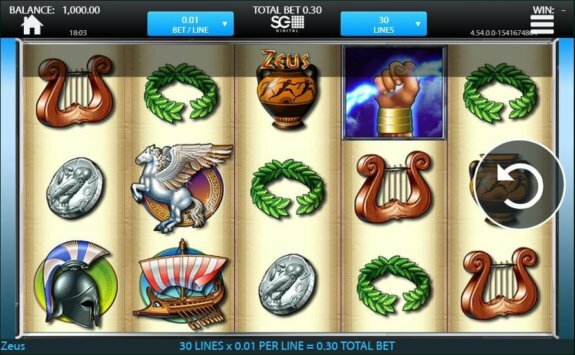 The slot has 30 adjustable paylines, and it comes with an RTP of 95.20%. It is played on a 5×3 layout and features unique symbols taken from Greek mythology. While Zeus is a bit outdated, you can still find it in a lot of prominent online casinos. This game is already a classic, therefore you can play it on a lot of different websites, both in free mode and for real money. We let our experts decide whether Zeus has still been a slot worth risking money. Read on to see their opinions. The Ancient Greek culture created many gods and goddesses, but the central one was Zeus – the king of the gods and the ruler of Mount Olympus. One of the most famous depictions of Zeus is him holding a lightning bolt, which is one of the symbols in this game. The graphics in this WMS slot are sub-par in comparison to what we can see in modern video slots, but are nevertheless decent for its time. There’s no a particular background, but the soothing xylophone music accompanies the player while the reels are spinning. Zeus interface is relatively simple and easy to figure out. 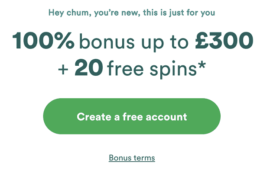 In the bottom right corner is the Spin button, and next to it is a number stating your total win for the current spin. Next to the number of lines are the +/- buttons for changing the number of paylines you want to be active. You can also customise your bet which, when multiplied by the number of paylines, forms your total stake. If you’re tired of manually hitting the Spin button, you can select up to 100 Autoplays for the computer to take for you. 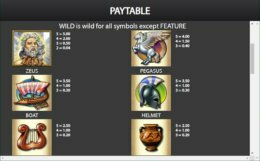 Zeus has a total of 11 symbols and one bonus round. Let’s see how they work. The nine base symbols are a laurel wreath, a silver and a gold coin, a vase, a harp, a soldier’s helmet, a galley, Pegasus, and Zeus. The game’s special symbols include the Olympus Wild and the Scatter represented by the Zeus’ hand holding a lightning bolt. 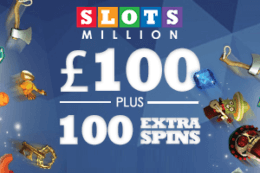 The only extra feature in this slot is the Free Spins game. It gets triggered once you land at least three Scatter symbols in a single spin. 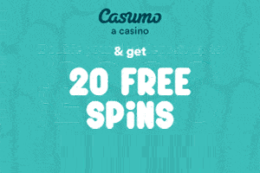 Getting three, four, or five Scatters will unlock 10, 25, and 100 Free Spins respectively. 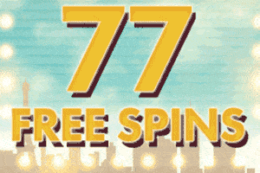 It is possible to re-trigger the feature and get additional Free Spins if you land three or more Scatters during Free Spins. We advise that you try playing Zeus for real money and feel the excitement that this slot game has to provide. On the other hand, if you would like to test it out first, you can do so by playing it in free mode. We prepared Zeus for you right here on this page. No registration is necessary — just wait for the game to start and play it with no deposit. Of course, you can always switch to real money gambling by visiting one of the websites that we will mention at the end of this article. 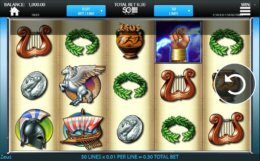 Zeus passed the test of time, as it still remains a relevant slot game in the casino community. It has a solid base game and the rewarding Free Spins round, but not much else. The biggest advantage of Zeus is getting an opportunity to win 100 Free Spins, which is rarely the case with modern slots. On the other hand, the lack of interesting visuals and sounds might be unattractive enough to some players. In any case, give Zeus a try and tell us what you think. 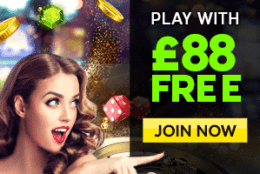 Get access to thousands of popular slot games by signing up on Sloty, 888 Casino, or Rizk Casino. 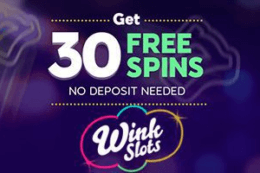 These licenced operators have great welcome bonuses, so make an account today and enjoy plenty of spinning action.